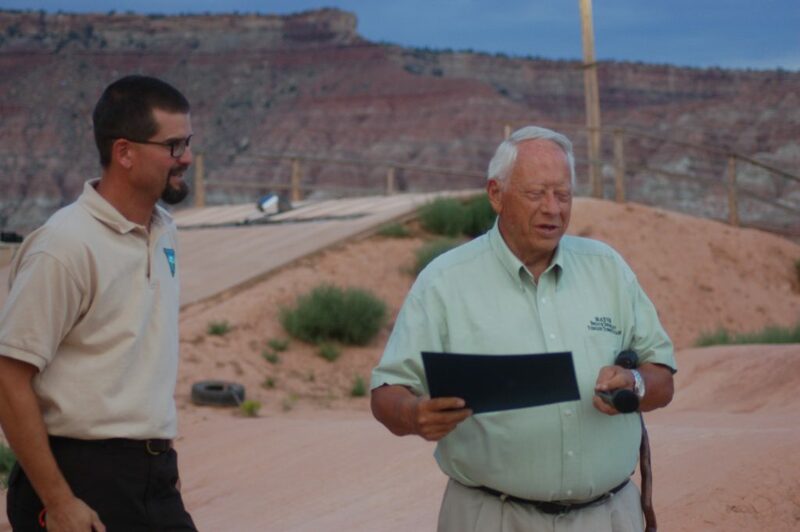 VIRGIN — In a brief ceremony held at the Virgin BMX Track located at the foot of the Kolob Terrace section of Zion National Park Wednesday evening, the Bureau of Land Management officially handed over the land patent for the 10-acre parcel of land the track sits on to the town of Virgin. Originally leased to Virgin through the Recreation and Public Purposes Act, acquiring the land was the culmination of a dream which began about 15 years ago. Included among the dreamers was Jay Lee, the mayor of Virgin at the time who helped organize efforts to get the track built and lease the BLM land. Lee is a current member of the Virgin Town Council. 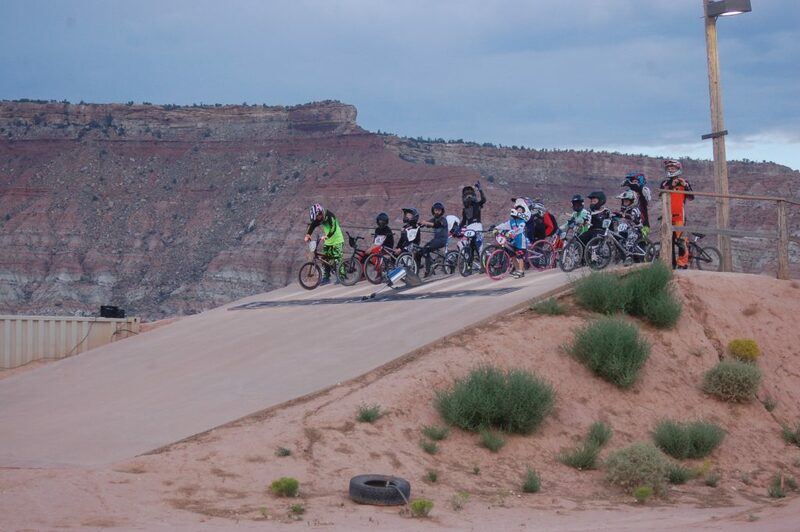 Lee recalled that young BMX riders would hike out into the desert and use old tires to mark out a track to practice on. 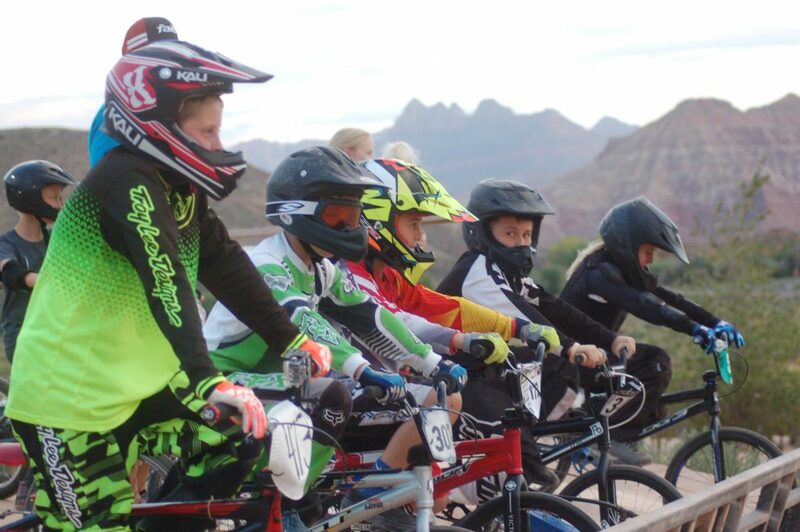 Those budding riders would then head to Mesquite, Nevada – the closest place they had to race – to test their skills. 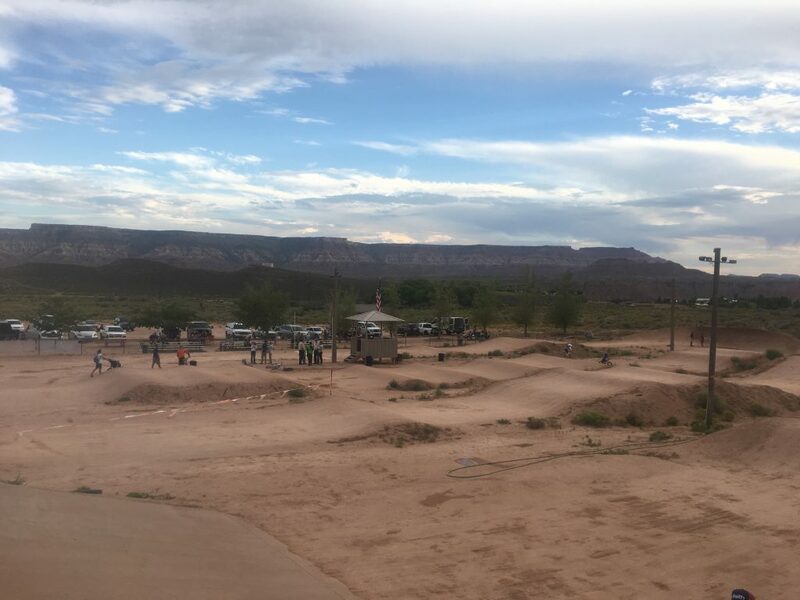 As the idea to create their own place to race began to grow, riders and town leaders approached the BLM with the desire to lease the land and build a BMX track on it. 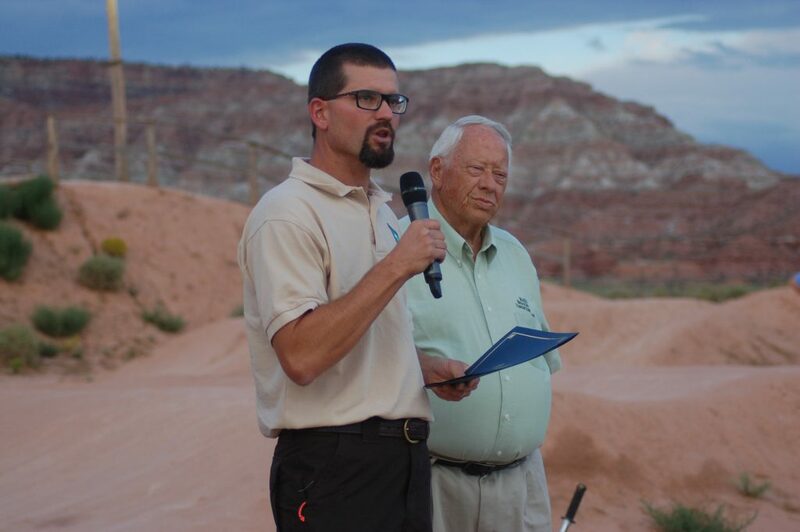 “And we (the BLM) said, ‘Hey you know, we have this recreation and public purposes authority. 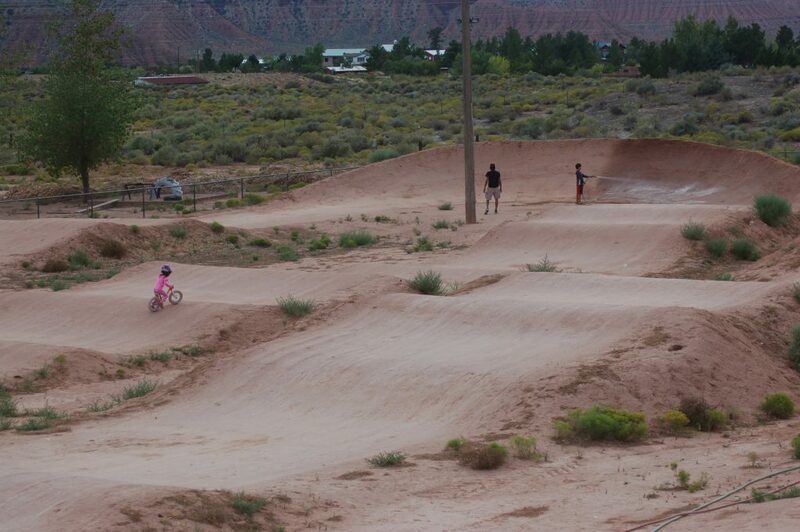 Why not a BMX track?‘” Tritle said. 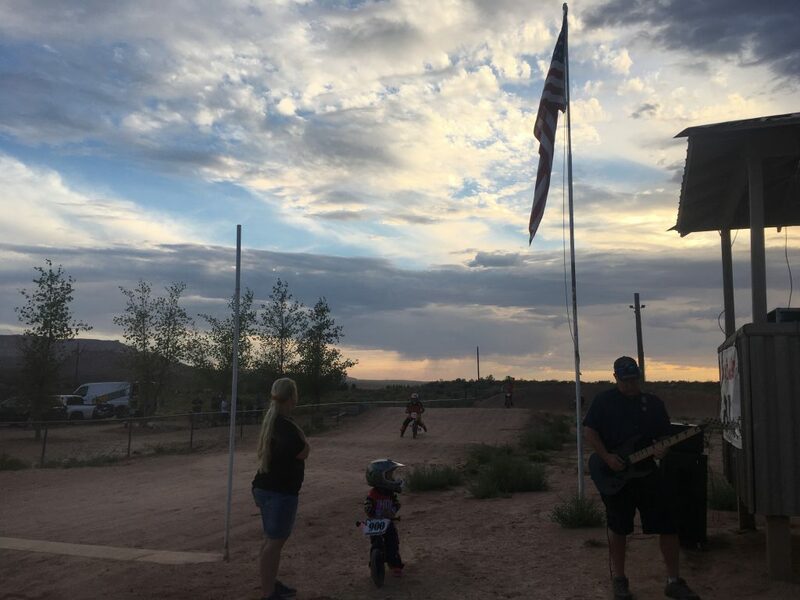 The Recreation and Public Purposes Act is a law administered by the BLM that allows it to sell or lease public lands to certain state and local government and nonprofit agencies specifically to be used for recreation or public purposes. 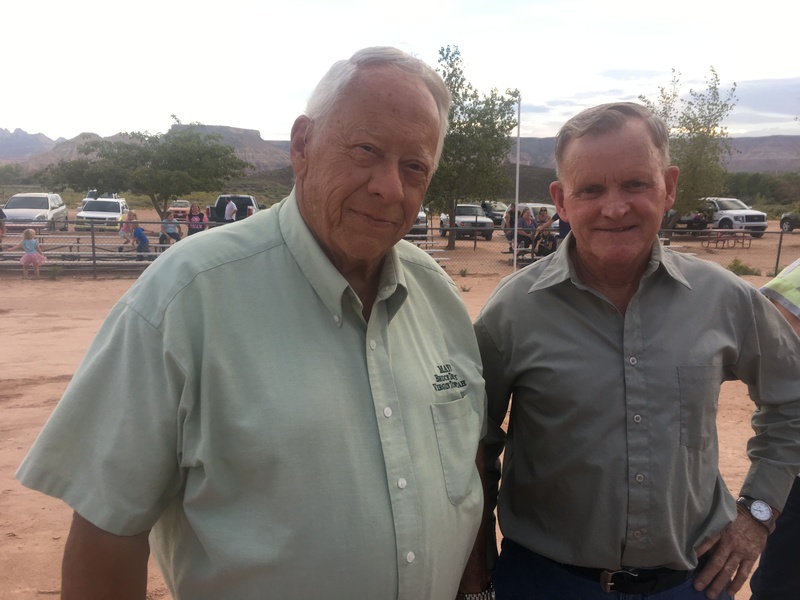 Other areas in Southern Utah that have benefited from this act include the Southern Utah Shooting Sports Park, the Washington County Landfill and some city parks, Tritle said. During Wednesday’s ceremony, Tritle handed the patent to current town of Virgin Mayor Bruce Densley, signifying that the town had completed the necessary terms of the lease and could take full ownership of the land. It was an exchange that Tritle said he was happy to make. Lee said that in the beginning, going through the process with the BLM took about a year. Then the track had to be built, he said, and Virgin’s dirt proved to be very useful in the process. In the early track days, Lee said, they would sometimes get only two racers to show up at a time. 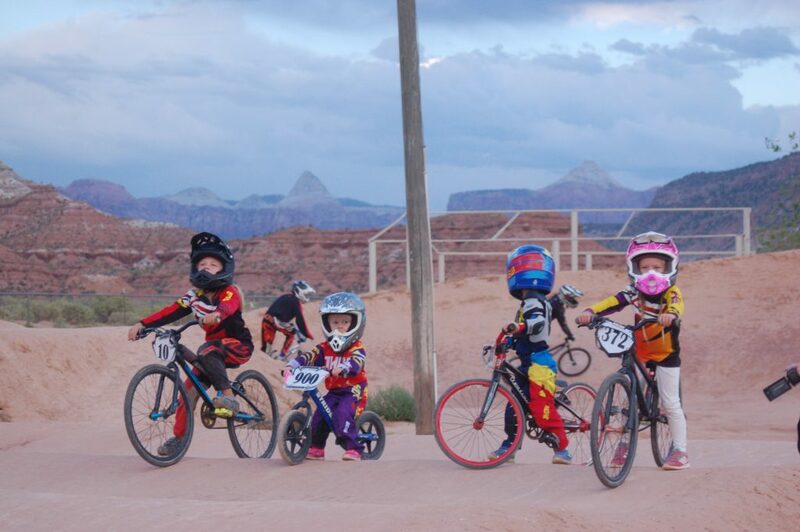 Today, dozens of riders, young and old, come out almost every Wednesday to race. 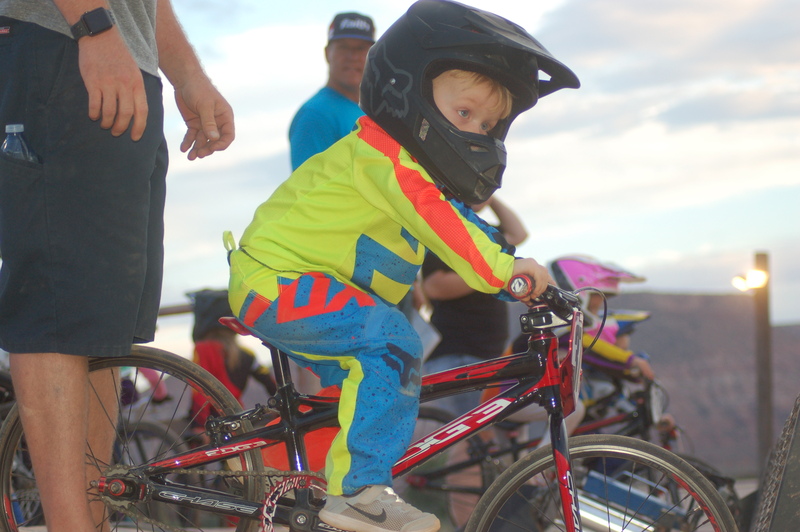 The growing popularity of the Virgin BMX Track is due to a host of people who have helped Lee with his dream of creating a place where locals and visitors alike can come race and spend time with their family. 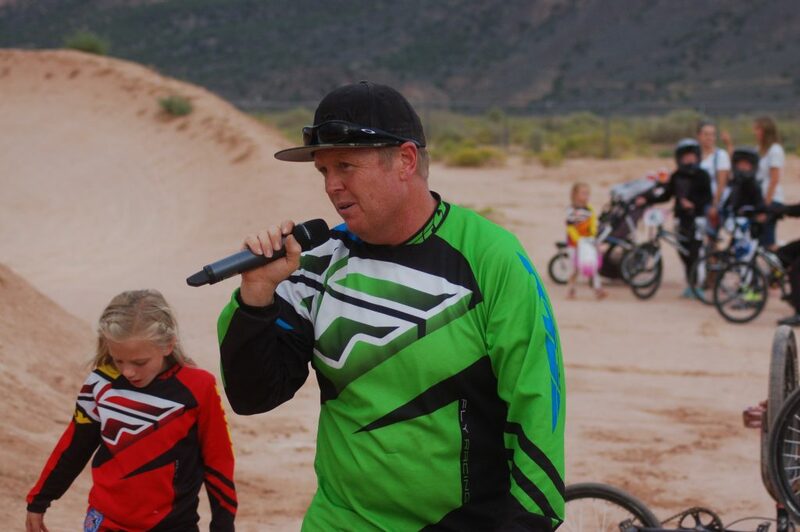 Not least among those who helped build the BMX dream is Adam Pace, the current track operator at Virgin BMX. 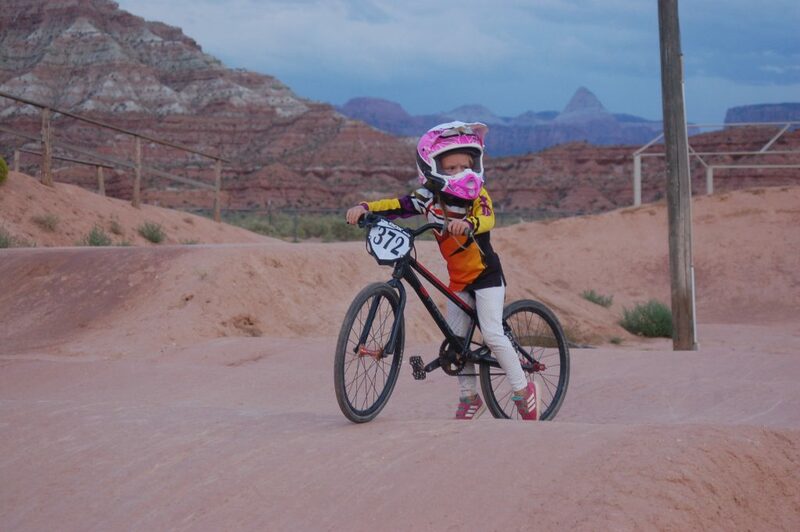 Virgin BMX maintains the track, operates the accounting and business side of racing and acts as the liaison between the track and USA BMX which is the sport’s governing body. The town of Virgin owns the land and operates the water, Pace said. 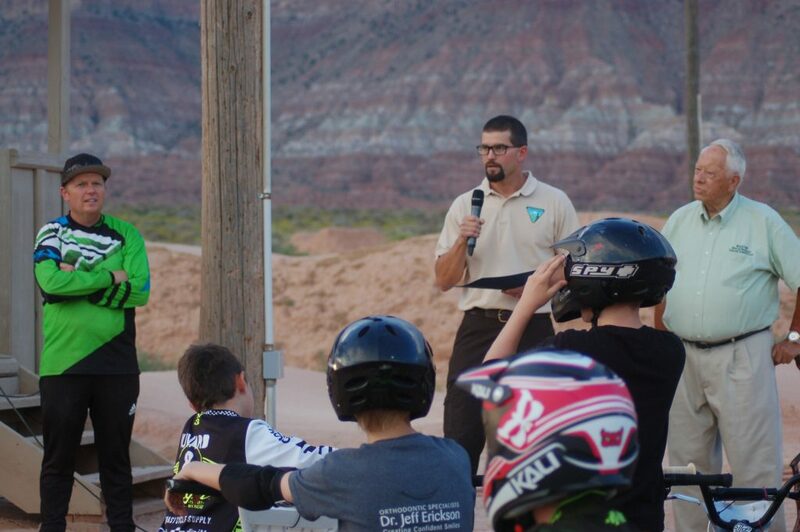 Though Pace said he doesn’t expect much to change regarding the racing, he does hope now that the city has ownership of the property, they will be able to improve upon and possibly expand the facilities to potentially include a pump track or freestyle jumps. Pace would like to attract even more of the bicycling community to the track, he said. Densley said he has even bigger plans for the area. Though receiving the land patent Wednesday was the culmination of one process, he said, it was also the beginning of plans to acquire 70 more acres in the surrounding area to be used for additional recreation opportunities such as hiking trails, equestrian riding, camping and sports fields. In the meantime, on any given Wednesday, Pace and a whole host of passionate BMXers can be found racing laps around the track that he bills on social media with the hashtag #mostscenictrack. Virgin BMX sits at the gateway to Zion National Park’s Kolob Terrace and is surrounded by the unique geographic landscape of Zion that attracts millions of visitors per year, making a strong argument for the veracity of Pace’s hashtag. Lee is often there too, helping with the gate and watching families enjoy the space that he helped bring to fruition. Lee doesn’t have any kids who race, but he said the racers at the track are like his own children. “I just love these kids,” Lee said. 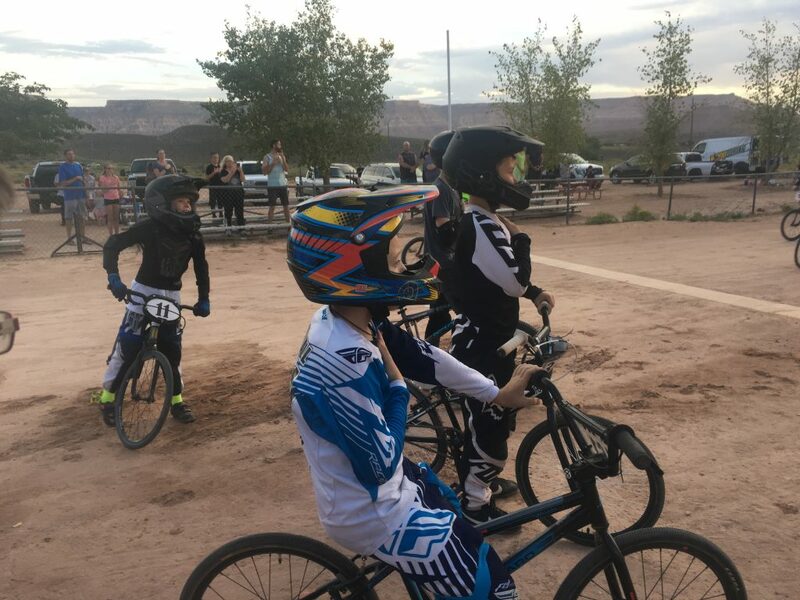 It is the family-friendly atmosphere that Pace, Lee and Densley love so much about BMX racing and the Virgin BMX Track in particular. 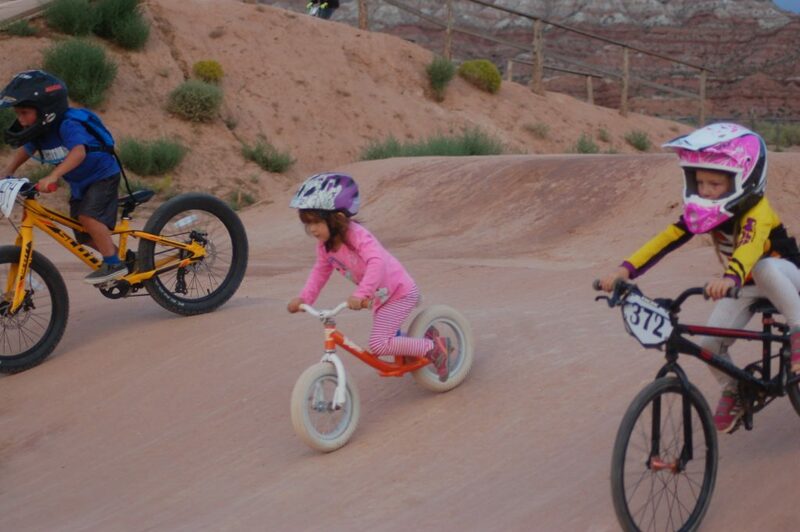 Virgin BMX holds races every Wednesday evening. A full race schedule and more information about the track can be found here.